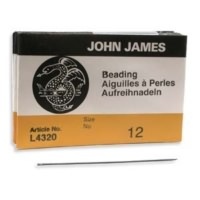 Care for your beading tools properly in order to keep them working for years to come. Hang them in an easily accessible place to keep them handy, or store them in separate compartments in a kit. Keep them moving smoothly by occasionally rubbing them with sewing machine oil. Seed beads are very small beads that can be used in a variety of projects. Some seed beads are sold on hanks, which are long strands of beads. However, seed beads may also be sold by weight and are packaged in plastic containers. Seed beads come in a vast assortment of colors, finishes and sizes, which means that you are sure to find the perfect ones for your design. When you are shopping for seed beads, you will see numbers associated with each package or hank. The number refers to the size of the bead. 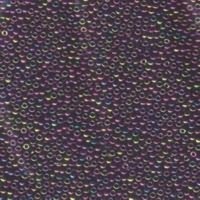 Smaller numbers indicate larger beads, while larger numbers are used for smaller beads. Most projects use seed beads that range from 8° to 11° in size. Larger beads are often used in crocheting or knitting projects. Some types of seed beads, such as Czech beads, are slightly irregular in size and shape. These variations can be used to create jewelry that has a more natural appearance. In this case, you may want to sort through the collection of beads to choose the ones that add character to your design. Other seed beads, such as Miyuki Japanese beads, are extremely uniform in size and shape. These are ideal for projects that are very detailed and intricate. Many projects that mention seed beads are referring to the small round beads. However, seed beads are also available in bugles, rocailles, cylinders and squares. These different shapes will help you to add unique characteristics to your designs. There are a wide assortment of colors and finishes on the market. Whether you want several shades of green or a striking blue, you will likely be able to find seed beads in the colors that you need. 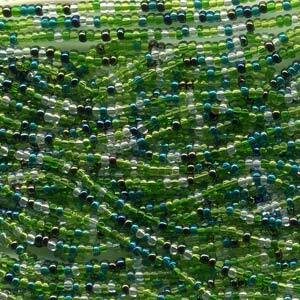 You can also find seed beads in a variety of finishes, such as transparent, matte and color-lined. The many variations of colors and finishes will allow you to be even more creative when designing your jewelry. Since seed beads are so small, you may need a few special tools to help you complete your projects. 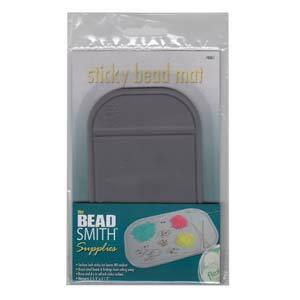 A sticky mat will keep your beads from scattering as you work, and a pair of beading tweezers will allow you to pick up even the smallest bead. A beading needle may help you when stringing seed beads, and a hand-held vacuum will make bead spills easy to clean up. While you may make most of your jewelry from other types of beads, such as lampwork or pewter, you will want to keep a supply of seed beads on hand. You can use them to add fringe to a necklace or as small spacers between larger beads. You will soon find that seed beads allow you to have even more flexibility and creativity when you create your jewelry.